"Etfadnizoub", A large circulation monthly magazine in Russia printed a remarkable article. It was a very interesting and valuable article from an archaeological point of view. The article confirms the magnificence of the Quran and the correctness of Islamic beliefs. A number of English, Egyptian, Pakistanian writers translated the article from Russian to English, Arabic and Urdu, and reprinted it in their own magazines and newspapers. It was surprising that this timber plate without being decayed or petrified, it had been remained intact and untouched. The finds are on show all in Moscow Monuments Museum. 6. Im-Ahmad-Kola, director of the Russian general researches and explorations. 7. Micher Koltov, Dean of the Stalin university. This board, after eight months research, presented their unanimous report to the Russian Archaeology. 1) All the artefacts were of the same origin and were from Noah's ark. Except the above mentioned plate was not as decayed as the other timbers. The script is still legit able. 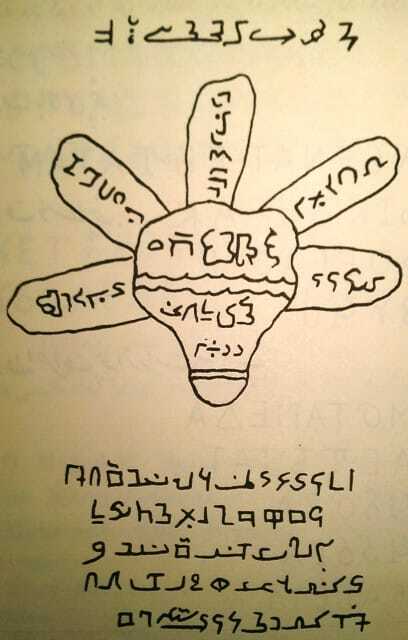 2) The script is of a Semitic language. The Semitic language is in fact the mother of the words (roots of words) and is related to "sem" son of Noah.
" O! My God! And O! My supporter! Help me with your mercy and generosity! Then, "Hakim Sayid Mahmoud Gilani", scientist and expert in Islamic traditions from Pakistan translated the article to Urdu which was published in the book "Ilia, the salvation centre of the world religions**". Mr Gilani, was the director of "Ahl-Al-Hadith" newspaper in Pakistan. He was born Sunni Muslim, then after research, he converted to Shi'a. Afterwards, "Bazra" magazine in Najaf-Iraq translated the article from Urdu to Arabic. The title of the article was "Blessed names which prophet Noah used to ask help from God" and was published on page 78-81, first year, Shawal and Zolqada 1385 (Hejri-qamari calendar). 1) The discovery of these timbers and the plate is one of the proofs for truth and reality of the stories of the great Quran and Islamic traditions. These stories indicate in detail the existence of Noah's ark as Islamic and non-Islamic historians have written. 2) Shi'a beliefs about the household (Ahl-al-Bayt) of prophet Muhummad(s.a.w.) are not due to personal inclinations and motives of the Shi'a leaders and authors, but are based on a series of scientific facts and historical realities. This is why Shi'a submit themselves to these facts and in result, has chosen to follow the household (Ahl-al-Bayt) of prophet Muhummad(s.a.w.) . It is evident that prophet Noah's seeking help from household of the prophetic mission and engraving of their names on the ark many thousands of years ago had been before the revelation of the Quran, the coming into existence of Islam and branching out of Muslims into different and opposed sects of Shi'a and Sunni. It can only be interpreted that Noah had been inspired by Divine source and oracular sign. It is true that Noah engraved the sacred names of "Muhummad, Ali, Hassan, Hosayn and Fatima" on the plate as a prayer, but in fact this is a prophecy from long ago of the coming of the household of revelation and prophetic mission. These five people were born about 3,600 years after the flood. It is interesting that the discovery occurred in a non-religious country and by a group of non-Muslims. It happened in an environment where they have abandoned religion, belief in God, resurrection day, revelation and prophetic mission since seventy seven years ago, and they look at the world and whatever is in it, with a limited materialistic vision only. It is obvious that the discovery of the plate is as valuable in the eyes of Archaeologists of the modern world as it is for Muslims, specially Shi'a. 1. This article was translated from a Persian magazine called "Maktabe Islam", pages 674-680. The Persian article is a translation and extract from: "Bazra" magazine in Najaf-Iraq. 2. The book of "Qobs min al-Quran" by Abd-al-Latif Khatib Baghdadi, 1389 (Hejri), Najaf-Iraq. * According to the Quran, anchorage of Noah's boat after the flood, had been mount "Joudi". Writer of "Marased al-Etela'" and "Monjid al-Oloom" claims that this mountain is located at 40 km North East of "Ibne Omar" island. This island is a small town in Syria, overlooking the "Dejla" river and was established by "Hasan ibne Omar ibne Khattab Sa'labi". The author of "Al-Mizan" says that the anchorage was at Mount Ararat, mountain "Armenia" between Iran and Turkestan***-Russia located in "Diar Bekr" district of "Moosel". Certainly, all of these views are compatible with "Vadi qaf" find in Moscow, the discovery place of exploration of the timbers. If the anchorage had not been in this place or close to it, it is possible that in course of time, as the result of water transportation over many thousand years, the timbers had been re-located and burried. ** The book of "Ilia ..." written in the Urdu language is 45 pages long and published under the title of "The 42nd publication of the Islamic Encyclopaedia" in Lahour-Pakistan, in 1381 (Hejri). *** Turkestan, in physical geography is dry, mountainous region of central Asia extending from the Caspian sea on the West to the Gobi on the East. The area is divided into three sections: Russian or Western Turkestan, also referred to as central Asia USSR, which includes the Soviet socialist Republics of Kazakh, Kirgiz, Tadzhik, Turkmen, and Uzbek. **** In Turkey near the border of Rusia, The timbers are still on demonstration in a seashore called "Ari Taghi". Tourists go there to visit that sign of Allah from Noah Ark. Type M3 in the search box of www.shubayr.net and click on the link which appears.